Real time: Because the velocity and volume of threats increases on a daily basis, the technologies used to protect systems must be updated by the minute. The ability to adjust to the nature and type of new threats as they appear is key. Data should be aggregated from sources globally and delivered as actionable information to the security professional. Contextual: Data must be parsed through sophisticated computer analytics to ensure humans can make decisions based on actionable intelligence. An analyst has to be given data with pre-connected dots in order to act quickly. There’s little time for onsite security professionals to analyze reams of data when they suspect an attack is underway. By the time they figure out what’s going on, the damage is done. Big data-driven: It’s not enough for a company to understand only what’s happening in its own environment; an attack on one of its competitors or peers could mean it’s next. To analyze complex threat patterns, threat intelligence technology must be cloud-based and should aggregate activities from across companies and across geographies. Cloud backup is a viable option for many use cases, including but not limited to storage, critical workload management, disaster recovery and much more. And as we have covered in our previous concerns related to this series, it can also be made secure, reasonably priced, and migration can be simplified. We found one of the major cloud concerns in last year’s end user survey to be customization. Let’s dive into where customization and the cloud meet. How customizable is the cloud? In order to get the most out of their cloud investment, businesses need to be able to tailor the cloud to their exact needs. And even though cloud customization seems to be a concern, there is a general consensus in the IT community that the cloud is customizable. And when you consider the premise of AWS, Azure and other IaaS offerings that allow you to customize services specifically to your needs from day zero, it’s easy to see why. The cloud and customization seems to go hand-in-hand in some respects. 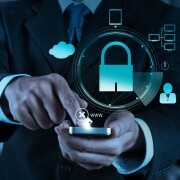 Customization is a key component when it comes to the ability to configure cloud security. Being able to customize your cloud environment to meet exact compliance needs depending on what industry you are in, or in which region or country your data resides, makes customization a vital capability within cloud. Talking about cloud customization would not be possible without also mentioning the flexibility and scalability that come with utilizing cloud over on-premises. If operations are conducted on-premises, then scaling up typically means buying new servers, and will require time and resources to deploy. The cloud offers pay-as-you go models and scaling happens instantly with no manual labor required. If there is a peak in activity, cloud resources can be added and scaled back down when business activity returns to normal. This ability to rapidly scale up or down through cloud can give a business true operational agility. When depending on the data management software you use, you can enable a highly customized approach when it comes to handling data moving to the cloud. Veeam offers ultimate flexibility when it comes to the frequency, granularity and ease of backing up data to the cloud, helping you meet 15 minute RPOs which then impact RTOs. What’s great is the products used for backup and replication in Veeam can also be used as a migration tool to make the task of moving to cloud easier than it seemed at first. Let’s go over existing Veeam Cloud backup offerings and new ones to see how they can be utilized to customize various aspects of cloud backup needs. First and foremost: Backup and replication. 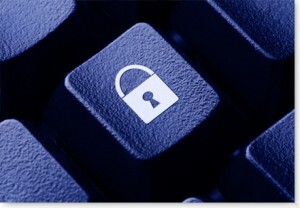 The two functions used in virtually any environment to ensure the safety and redundancy of your data. You can send your data off site with Veeam Cloud Connect to a disaster recovery site or you can create an exact duplicate of your production environment that will have 15 minutes between them. And you can use these same options to get your data into the cloud, be it a cloud repository for storing backups or a secondary site via DRaaS, all within a single Veeam Backup & Replication console. Since Veeam Cloud Connect operates through the network, we’ve made sure that we provide an encrypted traffic and built-in WAN acceleration to optimize every bit of data that is sent over. WAN acceleration minimizes the amount of data sent, excluding blocks that were already processed and can be taken from the cache on site. That comes really handy during migrations since you may be processing a lot of similar machines and files. This acceleration is included in Azure proxy as well as other optimizations that help reduce network traffic usage. Additionally, you can use Direct Restore to Microsoft Azure to gain an extra level of recoverability. First setup and pre-allocate Azure services, then simply restore to any point of time for your machine in a couple of clicks. What’s really cool is that you’re not limited to restoring only virtual workloads, but can migrate physical machines as well! 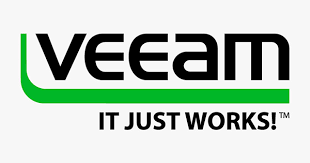 The Veeam Agent for Microsoft Windows (beta version soon available), and the now available Veeam Agent for Linux will help you create backups of your physical servers so that you can store them on the Veeam repositories for further management, restores and migration, should you ever need to convert your physical workloads to the virtual and cloud. Not only does Veeam provide multiple means for getting data to the cloud, but you can also backup your Microsoft Office 365 data and migrate it to your local Exchange servers and vice versa with Veeam Backup for Microsoft Office 365! Many companies have moved their email infrastructure to the cloud, so Veeam provides an ability to have a backup plan in case something happens on the cloud side. That way you’ll always be able to retrieve deleted items and get access to your email infrastructure. All these instruments are directly controlled by you, and most of them can be obtained with a service provider to take the management off your plate. When working with a provider, it is important to inquire into what can be customized or configured in order to ensure the cloud environment is able to meet your specific needs. This makes working with a cloud service provider a very valuable asset. As they can give you expert advice, reduce any complications and set expectations when it comes to cloud environments and their ability to be customized. One of the best things about modern VoIP systems is how flexible they are when it comes to how you deploy them. You can use them on an appliance, virtualized, or on a cloud-based service like Amazon AWS, Google Cloud, or Microsoft Azure. Each configuration has a slightly different technique to making everything work, and one of the first challenges is registering extensions. For this post, we’ll focus on the general concepts of setting up extensions for a cloud based (hosted) solution with FreePBX. If you’ve never heard of FreePBX, and you’re in the market for a new VoIP system, you should start doing a little research ( and also call VoIP Supply). To be brief, it’s a turn-key PBX solution that uses Asterisk, a free SIP based VoIP platform. Sangoma, the makers of FreePBX have created a web user interface for Asterisk to simplify configuration. They’ve also added an entire security architecture, and have added a lot of features above and beyond what pure Asterisk (no user interface) provides, such as Endpoint Manager, which is a way to centrally configure and manage IP Phones. FreePBX isn’t the only product out there to do this, there’s quite a few out there actually, but FreePBX has really raised the bar in the past few years and has become a very series solution for the enterprise. Don’t let the word “Free” in FreePBX lead you to think it’s a cheaply created system. There’s a huge benefit to hosting a VoIP system in the cloud, you have to deal with very little NAT. Why is that good? SIP and NAT generally do not cooperate with each other. It’s very common for SIP header information to be incorrect without a device such as a session border controller (SBC), or a SIP application layer gateway (SIP ALG). When deploying a system on premise, you will always need to port forward SIP (UDP 5060) and RTP ( UDP 10,000-20,000) at a minimum. Also, you’ll need to make sure these ports are open on your firewall. This helps direct SIP traffic to your phone system, similarly as if you had a web or mail server. Of course, there are security concerns when exposing SIP directly to the internet, and the same concerns apply for a hosted system, but when dealing with a cloud solution, you are generally given a 1:1 (one to one) NAT from your external IP address to the VoIP system’s internal IP. A 1:1 NAT ensures all traffic is sent to the system without any additional rules. Some cloud services place an external IP address directly on your server, increasing simplicity. If you’re reading this, and are becoming increasingly concerned, you’re not wrong. If you’re in the technology field, you’ve probably been taught that exposing any server directly to the internet is wrong, bad, horrible, and stupid. Generally speaking, that’s all correct, but luckily many cloud service providers will offer the ability to create access control lists to place in front of your server, like the one below from Microsoft Azure. This gives you the ability to control access to specified ports, source, and destination IP addresses. Additionally, FreePBX has built in intrusion detection (Fail2Ban), and a responsive firewall, allowing you to further restrict access to ports and services. Is this hack proof? No, of course not. Nothing is hack proof, but I have run my personal FreePBX, exposed directly to the internet, with zero successful attacks. No, that’s not a challenge, and you can’t have my IP address. You can, however, have some of the would-be hacker’s IP’s (see below). 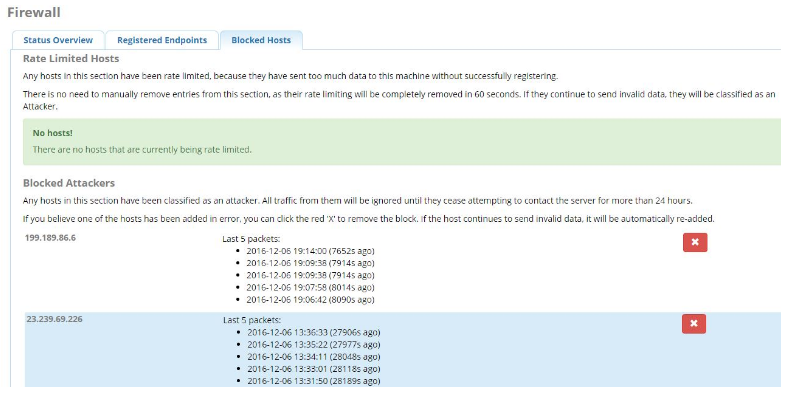 If you’d like to learn about the firewall that FreePBX has put together, go here. I’m not suggesting, that this is just as good as placing an on-prem VoIP system behind a hardware firewall, but the results so far are that it works very well. Using a cloud solution will always be at your own risk, so do plenty of testing and take whatever measures needed to secure your system (disclaimer). One of my favorite feature of a cloud based system is that all extensions are essentially remote extensions. This means you can place a phone anywhere in the world, in theory, with an internet connection, and place calls as if you were sitting in the office, or at home. There are some variables to this configuration, mainly restrictions on whatever network your phone is connected to, but generally speaking, it’s a useful and user-friendly solution. Now, for the rest of the article, I will assume that you know how to create an extension on FreePBX and have basic familiarity. 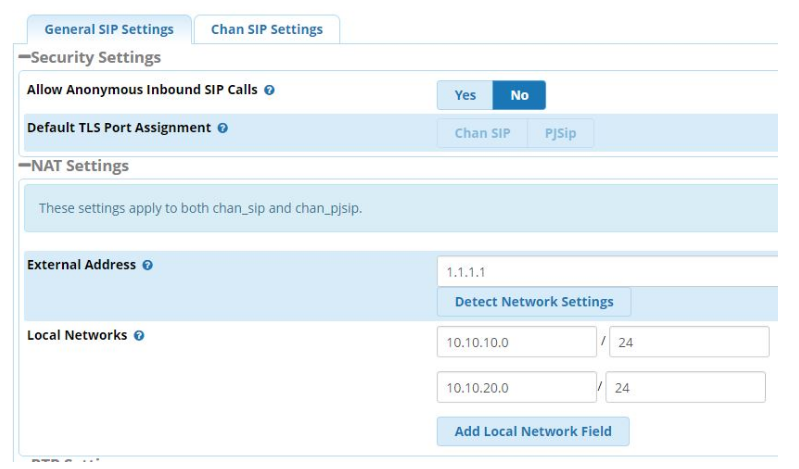 The first thing I typically do when deploying a new VoIP system is to define all of the network information for SIP. This is important for both cloud systems, and on-prem, Specifically, you need to tell FreePBX what networks are local, and which are not. To accomplish this, proceed to Settings > Asterisk SIP Settings, and define your external address, and local networks. Next, if you have your firewall turned on and you should make sure SIP is accessible. You’ll notice in the below image that the “Other” zone is selected, meaning I have defined specific networks that are allowed under Zones> Networks. To allow all SIP traffic, you can select “External,” but you would be better off enabling the Responsive Firewall, which rate limits all SIP registration attempts and will ban a host if a registration fails a handful of times. Also, something to pay attention to: Make sure you use the right port number. By default, PJSIP is enabled, and in use in FreePBX on port 5060 UDP. I will generally turn off PJSIP and re-assign 5060 USP to Chan SIIP. This can be adjusted under Settings > SIP Settings > Chen SIP Settings, and PJSIP Settings. Once the ports are re-assigned, you MUST reboot your system, or in the command line, run ‘fwconsole restart.’ I also like to tell FreePBX to use only Chan SIP. To do that, go to Settings > Advanced Settings > SIP Channel Driver = Chan SIP. PJSIP is perfectly funcitonal, but for now, I recommend you stick with CHAN SIP as PJSIP is still underdevelopment. We should also assign the global device NAT setting to “Yes”. This will be the option used wheneber you create a new extension. Without making this the global default, you will have to make this change manually in each extension, when you’ll likely forget to do, and your remote extension will not register. This setting lets FreePBX know that it can expect the IP phone or endpoint to be external and likely behind a NAT firewall. To change this global setting, go to Settings > Advanced Settings > Device Settings > SIP NAT = Yes. Lastly, make sure your extensions are using SIP, if you haven’t turned off PJSIP. You can convert extensions from one channel driver to the other within an extension’s settings. Check the firewall – Allowing SIP? Are you being blocked? Check Fail2Ban (Admin > System Admin > Intrusion Detection) Are you banned? Debug the registration attempt in the command line – Authentication problem? I hope this article sheds some light on the topic of cloud based VoIP systems, and how to set up extensions for that system. I also hope this saves you a few hours in troubleshooting if you are not well versed in FreePBX configuration. As a friendly reminder, before you make any changes to your production system, take a backup, or snapshot, and always test your changes.